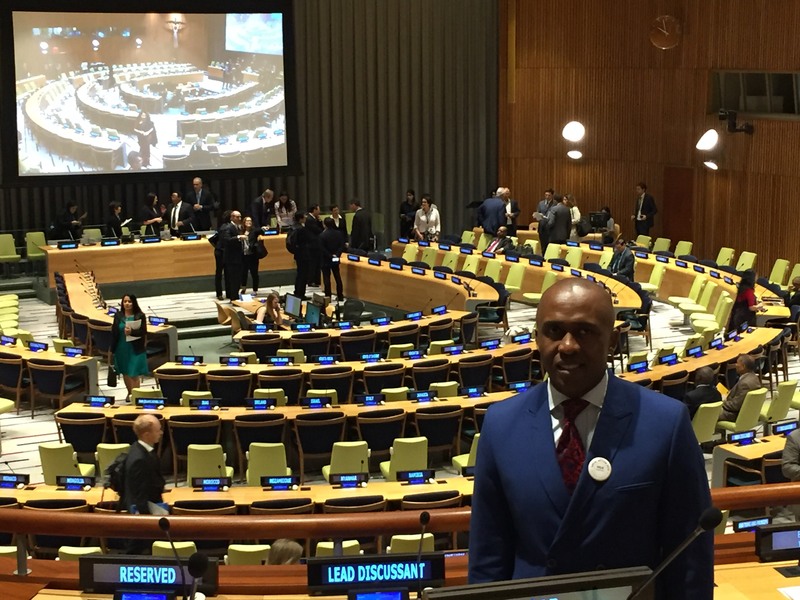 A delegation of mayors took part in the United Nations 2nd Forum on Financing for Development Follow-Up (FfD Forum) in New York from 23 to 25 May 2017. During the meeting, the Global Taskforce reminded stakeholders of the commitments to local and regional governments in paragraph 34 of the Addis Ababa Action Agenda. Bringing together the United Nations Secretary-General, heads of international financial organizations, government ministers and representatives, as well as representatives of local governments, civil society and the private sector, the Forum discussed the 2017 report of the Inter-Agency Task Force on Financing for Development (IATF). Despite the progress made, the report stresses that, taking into account an unfavourable global context in 2016, “the current growth trajectory will not deliver the goal of eradicating extreme poverty by 2030 and that Least developed countries will fall short by large margins”. Local finance is only mentioned briefly in the report in a call to national governments to promote and strengthen property tax management. 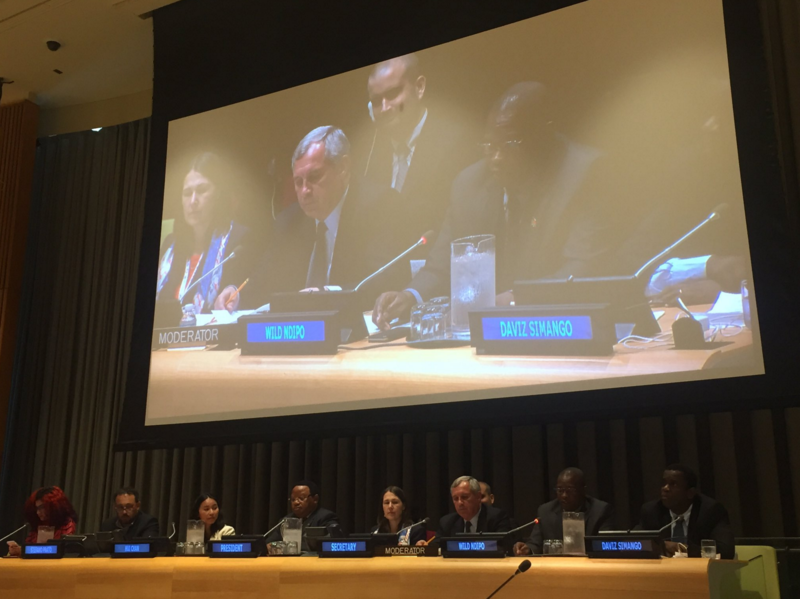 Mayors in New York took part in the first segment, the ministerial debate, the second segment, the Expert discussions and the Stakeholder dialogue. UCLG, with the Financing for Development Office/ United Nations Department of Economic and Social Affairs (FfDO/UN DESA) and the UN Capital Development Fund (UNCDF), also organized a parallel session on: “Urban finances as a game changer for the SDGs”. In their statements, mayors called for greater attention to be paid to financing of subnational governments in the follow-up of the Addis Ababa Action Agenda. Mpho Khunou, Mayor of Rustenburg and Chair of the Municipal Finance Working Group of the South African Local Government Association (SALGA), spoke during the Ministerial Round Table about the “steps taken towards implementation of commitments contained in the Addis Agenda and other Financing for Development outcomes” As the main topic discussed, he emphasized that “our municipalities have to engage with the imperatives of inclusive growth, socio-economic infrastructure provision, job creation and improvement in the quality of life and standards of living”. Khunou focused on the need to strengthen and diversify local taxation, access to financial markets and partnerships with the private sector, in order to address major challenges, namely migration to cities, adaptation to climate change and investment in green and sustainable infrastructure, as well as the need to embrace new technology and facilitate access for all. On the second day, Darrell Bradley, Mayor of Belize City, spoke on behalf of the Global Taskforce in Round Table A on domestic and international public resources. Drawing on the experience of his city and the results of the study developed in the framework of the UCLG/OECD Global Observatory on Local Finance, Bradley supported cities’ ability to capture properties added-value resulting from urban public investments. On behalf of the Global Taskforce, he also stressed the importance of the collective fight against tax evasion and illicit financial flows, which have an impact on local financing. On the same day, the delegation took part in the parallel session mentioned above. The session was opened by Alex Trepelkov, Director of FfDO/UN DESA, who presented the publication by UNCDF and UN DESA Financing Sustainable Urban Development in Least Developed Countries. This publication draws on case studies to analyse the efforts of and difficulties faced by local governments to improve local financing. It highlights the need to strengthen collaboration between the different levels of governance and with international financing institutions in order to respond effectively to the challenges of urban financing. After the statements from the UNCDF Deputy Executive Secretary and Minister of Industry of Nepal, Nabindra Raj Joshi, the mayors of Rustenburg, Beira and Blantyre shared their experiences on the most efficient local taxation systems, with a view to supporting investment to achieve the SDGs. Philippe Orliange, Director of Strategy, partnership and communication of the French Development Agency (AFD), then shared the agency’s experience in financing for local governments, both directly or through specialised intermediaries. Finally, Edgardo Bilsky, on behalf of the UCLG World Secretariat, recalled the main recommendations of the Global Observatory on Local Finance. On average, local governments provide around 40% of public investment, but in less developed countries the contribution is limited to 7%. On the final day, the Mayors of Beira and Blantyre took part in the stakeholder dialogue alongside organized civil society and the private sector. Wild Ndipo, Mayor of Blantyre and president of the Malawi Local Government Association, supported a fairer distribution of national resources and enhanced dialogue with the national government to meet the urgent needs for investment, particularly in public transport and basic public services. Daviz Simango, Mayor of Beira, reviewed his experience of mobilizing long-term external resources, for the implementation of the city of Beira’s Mater Plan. He stressed the importance of the political support of national governments in mobilizing national development banks and the role of the Official Development Assistance (ODA) in improving access to loans for local communities to invest in basic services. On behalf of the Global Taskforce, mayors recalled the commitments made at the Second World Assembly of Local and Regional Governments. They suggested that future IATF reports could provide in-depth analysis of the role of Multilateral Development Banks, of Climate Finance and ODA in improving the localization of financing and the implementation of the SDGs, particularly in lower middle-income countries and in Least Developed Countries (LDCs). They warned that the build-up of delays in sustainable urban development financing risked increasing the future costs of essential infrastructure to ensure prosperity, improve the living conditions of the most vulnerable populations and to respond to climate change.